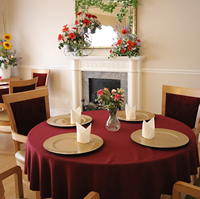 We are a warm and friendly residential and Nursing Home, providing excellent care for up to 29 long term residents. With a family based ethos, we have established a 'home from home' environment which allows our residents to live their lives in a calm, gentle and loving atmosphere. We believe in putting our residents needs at the forefront of everything we do. Care is delivered in an individual and holistic manner, promoting dignity, privacy and respect for everyone within our care. We are registered with The Care Quality Commission who regularly inspect our services. You can view how they rate our services here. In order to deliver excellence in care, we require a highly trained and motivated workforce. Staff are chosen carefully in order to ensure that they have the ability to demonstrate kindness and empathy. They must also possess a genuine desire to do the very best for our residents. We value our staff team immensely. Our staff turnover is minimal, reaffirming our family ethos and ensuring that Sidmouth Nursing Home remains a happy place to be. 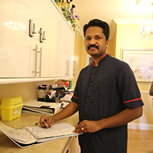 In addition to the team of GP's in the locality, we work closely with local professionals, including Hospiscare and can offer palliative care as well as day care. Respite care is offered subject to availability. Fee rates are based on individual care needs assessments. If you require further information, please contact us on 01395 514172 and we will be happy to assist you. ....Sidmouth care home which puts its residents’ wellbeing and happiness at the centre of its service has been rated ‘outstanding’ by health inspectors. 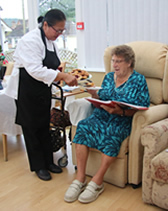 The Sidmouth Nursing Home's philosophy is to respect the rights of the individual by recognising the emotional, spiritual, physical, material and cultural needs of each resident. The Home aims to provide care through multi-disciplinary co-operation in the assessment and treatment of clients by skilled staff. The Home aims to support the contribution of all staff in creating partnerships in care with clients and other agencies, thus engendering mutual trust, understanding and support to achieve common goals. 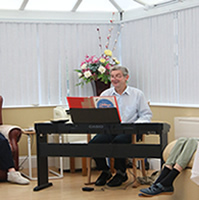 The Home also aims to create an organisational climate which promotes dignity, openness and respect for clients and staff alike and provide all the necessary care and attention for those who wish to spend their retirement in a secure and caring atmosphere, whilst respecting their privacy and maintaining their independence and dignity as far as possible. WE OFFER A 24 HOUR NURSING CARE Our services are 24 hour Nursing and Residential Care. We can provide care services for individuals with relatively low needs to individuals with complex nursing needs. We also specialise in palliative care and can offer daycare and respite care subject to availability. Enjoy breakfast lunch and evening meals in our elegant dining room with fresh flowers to decorate. 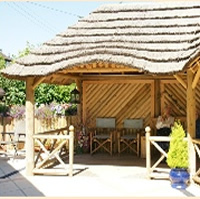 A garden area with seating and a pretty thatched shelter to enjoy when the sun comes out.